On December 13, 1724, German and Russian Empire natural philosopher Franz Ulrich Theodor Aepinus was born. Aepinius is best known for his researches, theoretical and experimental, in electricity and magnetism. His Tentamen theoriae electricitatis et magnetismi (1759; “An Attempt at a Theory of Electricity and Magnetism“) was the first work to apply mathematics to the theory of electricity and magnetism. 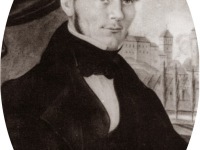 Franz Ulrich Theodor Aepinus came from a learned family. An ancestor, Johannes Aepinus (1499-1553), was one of the leading theologians of the Reformation. His father, Franz Albert Aepinus (1673-1750), was professor of theology at the University of Rostock. Franz Aepinus studied medicine at first but soon became enthusiastic about physical and mathematical sciences. From 1747 to 1755 Aepinus taught mathematics, physics and astronomy as a private lecturer and wrote works on electricity, magnetism and the construction of physical and astronomical instruments. During this time he studied mathematical problems such as algebraic equations, the solution of partial differential equations and negative numbers. In Rostock, Aepinus became familiar with astronomical observation techniques and observed, for example, the Mercury passages in front of the Sun on 6 May and 11 November 1753. 1747 he did his master’s degree with a dissertation on the orbits of falling bodies. From 1747 to 1755 Aepinus taught mathematics, physics and astronomy as a private lecturer and wrote works on electricity, magnetism and the construction of physical and astronomical instruments. During this time he studied mathematical problems such as algebraic equations, the solution of partial differential equations and negative numbers. In Rostock, Aepinus became familiar with astronomical observation techniques and observed, for example, the Mercury passages in front of the Sun on 6 May and 11 November 1753. Soon, Aepinus became a member of the Prussian Academy of Sciences and in 1755 he was briefly the director of the Astronomisches Rechen-Institut, where he made the acquaintance of the mathematician Leonhard Euler and with whom he also lived during the two years of his stay in the Prussian capital. Two years later he moved to St Petersburg as member of the Russian Academy of Sciences and professor of physics, and remained there till his retirement in 1798. It is believed that he enjoyed the favor of Empress Catherine II of Russia. She appointed Aepinus as tutor to her son Paul, and unsuccessfully endeavoured to establish normal schools throughout the empire under his direction. During the 1760s he was appointed head of the cryptographic service of Russia. 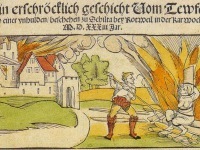 His student Johan Carl Wilcke from Wismar drew his attention to the problems of electricity. Wilcke himself worked on his dissertation on the properties of tourmaline minerals and recognized the piezoelectric properties of the material. Aepinus investigated the change of polarization of tourmaline and other crystals at a change of temperature (pyroelectric effect). He found that the electrical properties of the crystal were similar to those of magnetic crystals. He concluded that electricity and magnetism must have the same origin. Henry Cavendish  and Franz Aepinus devised theories of electricity which were essentially the same, yet had been framed without any communication between these two philosophers. Still, Aepinus published his theory about a decade before Cavendish. The scientists said that “the electric fluid is a substance, the particles of which repel each other, and attract the particles of all other matter, with a force inversely as the square of distance“. Further, “the particles of all other matter also repel each other, and attract those of the electric fluid with a force varying according to the same law. Or, if we consider the electric fluid as matter different from all other matter, the particles of all matter, both those of the electric fluid, and of other matter, repel particles of the same kind, and attract those of a contrary kind, with a force inversely as the square of the distance“. They also believed that the electric fluid was “another sort of matter … Its weight in any body probably bears a very small proportion to the weight of the matter in the body, but yet the force with which the electric fluid in any body attracts any particle of matter in that body, must be equal to the force with which the matter of the body repels that particle, otherwise the body would appear electrical, as will afterwards appear”. They are imagining the ‘electric fluid’ as consisting of electrons with almost no mass, but still with substantial electrical attractive and repulsive power. Static electricity then becomes a matter of a superabundance of electrons in one body, and a shortage of electrons in another. His work “On the construction of the moon’s surface, and the volcanic origin of its inequalities” from 1781, in which he attributes the surface formations of the moon to volcanic eruptions similar to those on Earth, became of great importance for the history of science. 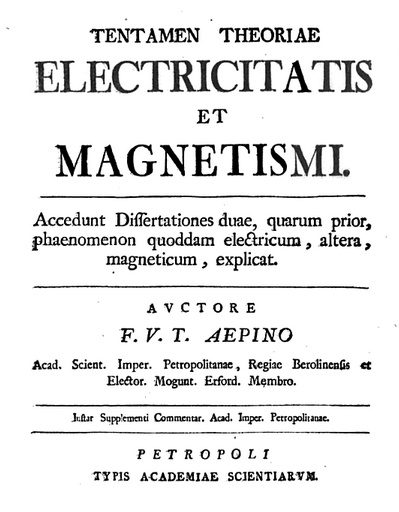 To Franz Aepinus’ major scientific works belongs Tentamen Theoriae Electricitatis et Magnetismi (An Attempt at a Theory of Electricity and Magnetism) published in 1759. In it, Aepinus attempted to systematically apply mathematical reasoning to his theories. Two years later he published the treatise De Distributione Caloris per Tellurem (On the Distribution of Heat in the Earth). 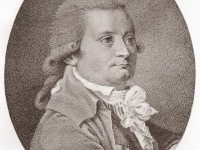 Aepinus further authored memoirs on different subjects in astronomy, mechanics, optics and pure mathematics, contained in the journals of the learned societies of St Petersburg and Berlin. 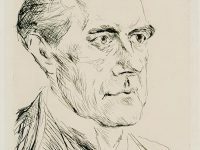 Russian scientists, especially Michail Wassiljewitsch Lomonossov, rejected the theories of Aepinus, probably also for personal reasons, since the German had quickly made a career at court. In 1798 Aepinus withdrew into private life. He spent the rest of his life in Dorpat, now Tartu, in Estonia, where he died on August 10, 1802.